"The only good Christian is a dead Christian." In our heated cultural environment, comments like this are increasingly common. Sometimes Christians are too quick to claim that they are being persecuted. But Christians aren't just being paranoid or alarmist. Anti-Christian hostility is real. Sociologist George Yancey explores the phenomenon of Christianophobia, an intense animosity against Christians and the Christian faith. Among some circles, opposition to Christianity manifests much like other historic prejudices like anti-Semitism or racial discrimination. While Christianophobia in the United States does not typically rise to the violent levels of religious persecution in other parts of the world, Christians are often still treated in ways that perpetuate negative stereotypes and contribute to culture war acrimony. Yancey unpacks the underlying perspectives and root causes of Christianophobia, and he considers to what extent Christians have themselves contributed to anti-Christian hostility. At times, criticisms of Christians are justified, but Christians can confront untruths without capitulation. In this truthful yet hope-filled treatise, Yancey shows how Christians can respond more constructively, defusing tensions and working toward the common good. "Yancey urges us to get in the war in an honorable way, adding our courage and insight for cultural survival and renewal. At times we're to fight fire with fire. That might mean calling out bigotry and hate where you see it. Love speaks. Love tells the truth. Love risks. Love does not fail." "Christians working in the seats of power of the culture (e.g., universities, media, government) regularly experience challenges from those who oppose any sign of Christianity in the public arena. George Yancey's book Hostile Environment combines empirical evidence with fair-minded, exacting analysis. Yancey has written a set of carefully reasoned principles and examples for Christians to consider in advancing their voices in what Richard John Neuhaus called 'the naked public square.' The book describes the underlying reason for the nakedness of the public square and the characteristics of those who aim to maintain its secularity. It offers principled remedies to all those who struggle to share the unique and productive knowledge that is in Christ to a society that thinks it has outgrown him. The work is fair minded, carefully researched, clearly reasoned and courageously argued." Mary Poplin, Claremont Graduate University, author of Is Reality Secular? 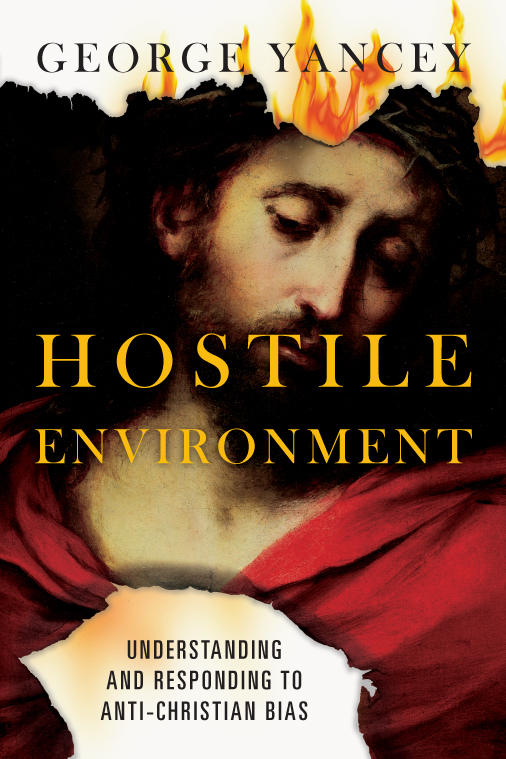 "Hostile Environment is a clearly-written summary of the increasing harassment of Christians. Some will want to withdraw from American society and become the twenty-first century Amish, but it will be better to learn from George Yancey and peaceably but firmly confront anti-Christian bigotry." 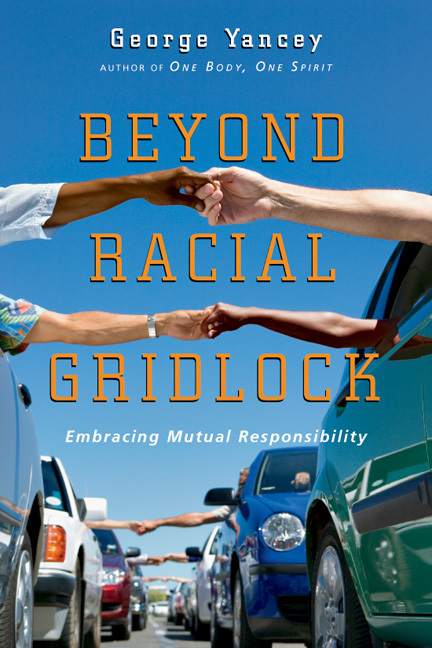 "George Yancey is a sociologist of consequence, and Hostile Environment represents his most significant research yet. In the book, Yancey provides a perceptive scholarly analysis of Christianophobia. He unpacks the root causes of anti-Christian hostility and helps Christians understand how to respond with wisdom, love and equity. Highly recommended." "Everyone should read George Yancey's pioneering work on extreme hostility toward Christians. It is data-based, balanced and practical." 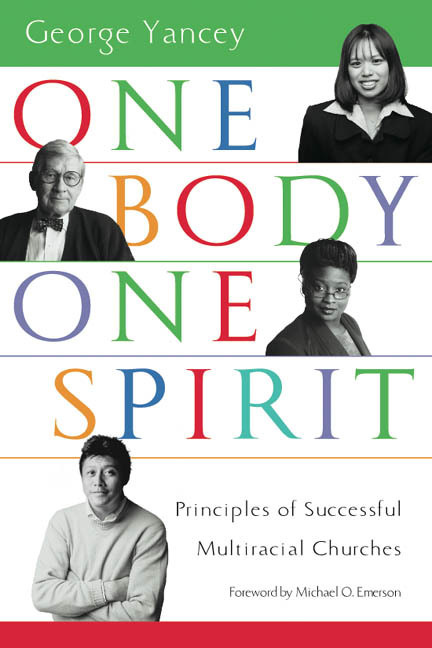 "Yancey is a clear and careful writer, defining terms, explaining research results, and differentiating between different types of prejudice. He provides a timely and thoughtful approach to understanding and responding to Christianophobia." 4. Are Christians Responsible for Christianophobia? 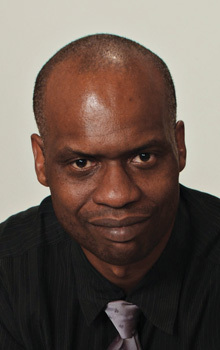 George Yancey (PhD, University of Texas) is professor of sociology at the University of North Texas, specializing in race/ethnicity, biracial families, and anti-Christian bias. He is the author, coauthor, or coeditor of books such as Compromising Scholarship: Religious and Political Bias in American Higher Education, Dehumanizing Christians: Cultural Competition in a Multicultural World, There Is No God: Atheists in America, Beyond Black and White, Beyond Racial Gridlock, and Just Don't Marry One. He is working to start the first academic unit on a secular campus that focuses on research that serves Christians and Christian organizations.